We often do not really understand the ramifications of an idea before we move on to another one. If we don’t understand then the people definitely will not understand. Here we will look at what Miles Davis has taught me on this subject. Miles Davis began the Cool phase of jazz. This was soon after the Bop phase. During that phase the musician would have many chords changing really fast. Because the chords were changing so fast all the musician could do was quickly play a few notes before the chord changed to bring on a new part of the tune. Davis came along and slowed the speed of the tune down tremendously (tempo). In addition, Davis changed the movement of the chords. So instead of having 2 or more chord changes in a small amount of time, Davis would keep the same chord for a very long time. 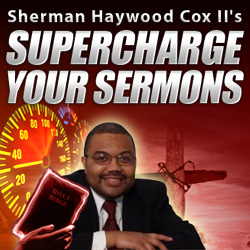 Some of us preachers are quick to move from an idea before it has been fully explored or explained. This leaves the people wondering what was really said. Some of our sermons are like the Bop phase where the people pick up a note here and a note there while basically just getting the gist of what you are trying to say. But the cool phase of Jazz reminds us to really explore the idea before moving on, just as Davis and the Cool Jazz movement really explored a chord before moving on to the next one. If you are talking about the goodness of Jesus, a cool jazz approach would first of all look at it head on. What is the goodness of Jesus? How is it manifested? Where is this shown in the Bible? Where is this shown in my life? Then in the explorations continue. Are there times I don’t feel the goodness of Jesus? Are there examples in the Bible where I do not see this? But then we still have more time before the chord changes so we gotta continue. Is there a limit to the goodness of Jesus? Will the goodness of Jesus ever die? What does the Goodness of Jesus mean for me right now in my place? In this exploration we should do a common homiletical and jazz tactic. Look at the basic theme from different perspectives altogether. In Jazz they take turns improvising over the theme. Look at the theme from a different perspective. 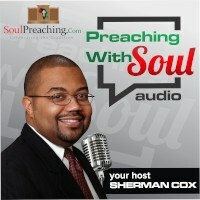 What does the goodness of Jesus mean from an African American perspective? What does it mean from a upper middle class African American perspective? European? Poor white? Female? Gay? Hispanic? A guilty convict? An innocent convict? Really explore the theme before going on. 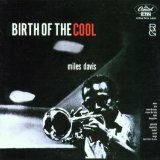 Miles Davis and Cool Jazz invite us as preachers to really explore the idea and theme before moving on to the next one. If we do this in preparation and presentation we will have a better preaching event.